CME heights (with respect to the disk center) are measured at the fastest segment of the leading edge. This is the Measurement Position Angle (MPA). Click on date in column 1 to view Java script movie of the CME. Click on time in column 2 to see height-time measurements as a text file. Click on speed in column 3 to view linear and quadratic height-time plots. Beware of data gaps. Check for LASCO/C2 data gaps here. 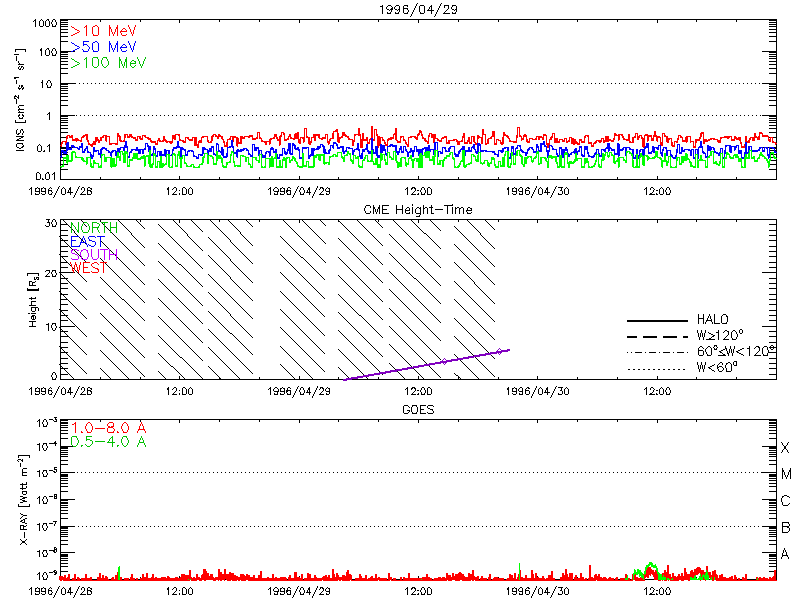 Description of Halo CMEs can be found in these papers: Howard et al. (1982), Gopalswamy et al. (2003), Gopalswamy (2004), St. Cyr (2005), Gopalswamy et al. (2007). The full SOHO/LASCO CME Catalog can be found here. Click here to search the entire catalog.